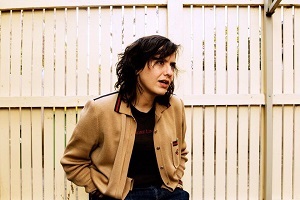 Hot off the back of her recently released new album Scared of You Laura Imbruglia joins us in the PBS studios for a Studio 5 Live session. After a five-year radio silence (pun intended), Imbruglia's new album delves deep into the mind and listening habits of her past few years, traversing realms of pub rock, brooding indie pop, classic country, shoegaze, grunge and even yacht rock. With such a broad stylistic scope, exemplified through the album’s three stand alone singles ‘Tricks’, ‘Diptych’, ‘The Creeps’ and now ‘Carry You Around’, Imbruglia has earned her stripes as one of Melbourne’s most exciting artists of today. Featuring a recently revitalised band lineup of Alex MacRae (Sons of Rico) on lead guitar, Kelly Dingeldei (Loobs) on bass & backing vocals, and James Trewenack (Glass Diamonds) on drums, Laura Imbruglia and her band have been garnering new and returning fans with an utterly impressive live show. Beneath the gritty, shiny surface, Scared of You sees Laura at her most openly vulnerable yet. Produced by long-time collaborator Nick Huggins, the album gives insight into the joys, frustrations, trials, and tribulations of human interaction. It’s 30 minutes of danceable, punchable, huggable catharsis that showcases the refined songwriting and chameleon like musicianship of an artist at the peak of a massive career. Listen back to Radio City to catch Laura Imbruglia's Studio 5 Live session and follow the link to watch the performance via Facebook live. Proudly brought to you by Mountain Goat.